A team of international researchers led by scientists at the Wellcome Trust Sanger Institute and the European Bioinformatics Institute (EMBL-EBI) recently completed the largest-ever study to sequence the whole genomes of breast cancers, with the published data being released online today. The news study has uncovered 5 new genes associated with breast cancer and 13 new mutational signatures that influence tumor development. These findings not only pinpoint where genetic variations in breast cancers occur, but should also provide valuable insight into the causes of breast tumors—demonstrating that breast cancer genomes are highly individual. The researchers analyzed 560 breast cancer genomes from patients in the U.S., Europe, and Asia. The team hunted for mutations that encourage cancers to grow and looked for mutational signatures in each patient’s tumor. 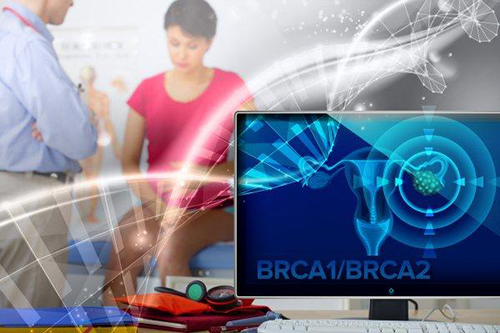 Interestingly, they found that women carrying the BRCA1 or BRCA2 gene, who therefore have increased risk of developing breast and ovarian cancer, had whole cancer genome profiles that were very different to other breast cancers and highly distinctive from one other. This discovery could be used to classify patients more accurately for treatment. Each patient’s cancer genome provides a complete historical account of the genetic changes that person has acquired throughout life. As they develop from a fertilized egg into full adulthood, a person’s DNA gathers genetic changes along the way. Human DNA is constantly being damaged, either by things in the environment or simply from regular wear and tear in the cell. These mutations form patterns—mutational signatures—that can be detected, and give clues about the causes of cancer. So knowing exactly where the mutations occur within the breast cancer genome is critically important.